While some of the teasers and trailers have played up the action, you should not go into this expecting much of that. While there are indeed shootouts and scenes that are best described as car chases, Michod, who wrote the screenplay with fellow Aussie Joel Edgerton (Warrior), plays them for tension, not high-octane thrills. Each and every element—from the gorgeous cinematography to the ever-evolving score that runs the gamut from indie rock twee to discordant sounds that resemble metal being torn apart—is designed to create an atmosphere of tight, increasing pressure. This is not a lighting fast movie. 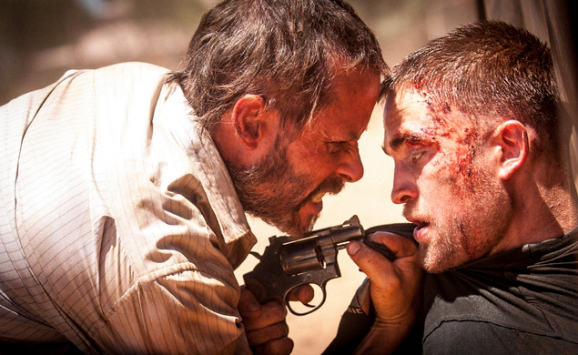 The Rover is a deliberate, gradual burn, methodical in every detail, especially when it comes to pace. While Michael Bay’s Transformers: Age of Extinction is easily the next big sci-fi movie on the agenda, before that spectacle explodes all over the world in a little less than two weeks, there’s one more that we’re rather excited for: David Michod’s (Animal Kingdom) The Rover. This bleak post-apocalyptic tale makes movies like Mad Max look downright festive when held up in comparison, and it’s also the latest addition to my running list of favorite movies of the year. This new short spot paints a grim, desolate picture, but one that is an accurate depiction of the film. The one possible bit of misrepresentation in this video from the film’s Facebook page, is that you get the distinct impression that this is an action movie, or at least action heavy. It isn’t. There are shootouts and scenes that are best described as car chases, but instead of playing them as straight action, Michod, who also wrote the screenplay, stages everything for tension, not frantic movement. Every single element is designed to create an atmosphere full of tight pressure. This is not a lighting fast movie. The Rover is a deliberate, gradual burn, methodical in every detail, especially when it comes to pace. The next two weeks will each deliver highly-anticipated post-apocalyptic films to our movie theaters. June 27, coincidently enough the same day Michael Bay’s Transformers: Age of Extinction blasts into theaters, Bong Joon-ho’s long-awaited Snowpiercer finally arrives. But before that, David Michod’s The Rover drops on June 20, though if you live in LA or NYC, you can see it starting this weekend. (I saw both this week, and made two new additions to my running list of favorite movies of the year.) We now have new collection of clips that should gauge your enthusiasm for film. The Rover is a moody, deliberately paced pseudo western that takes place ten years after a massive economic collapse. It’s like watching a Cormac McCarthy novel come to life. This is a grim world full of grim people. The action follows Eric (Guy Pearce) as he methodically tracks a group of men who stole his car. Along the way, he meets Ray (Robert Pattinson), the brother of one of the men, a simple, naïve man-child who was shot and left for dead, and who may be far too soft for this world. We may not get Mad Max: Fury Road for more than a year—it doesn’t open until May 15, 2015—but that doesn’t mean we’re going to make it through 2014 without at least Australian post-apocalyptic movie. Director David Michod is back with his follow up to the grim crime saga Animal Kingdom, with The Rover. Though the subject matter is vastly different, there is toughness, like old leather, that ties the two films together. 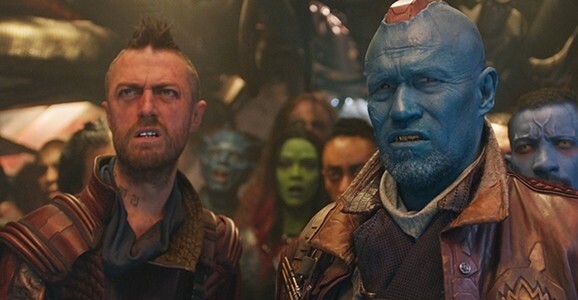 The first full trailer appeared a while back, and now, just as the film is set to premiere at the Cannes Film Festival, they’re back with the first clip. If watching that trailer didn’t give you a good feel for just how grizzled The Rover is, this clip should do the trick. The story picks up a decade after the collapse of society, where the outback has become a lawless frontier wasteland. Violence is a way of life, and those who don’t become proficient at it don’t survive for very long. Rey (Robert Pattinson, still trying to scrape off those lingering vampire sparkles) is one of these people who don’t seem like he is meant for this world. When his brother injures him and leaves him for dead, he falls in with Eric (Guy Pearce), a lone drifter with a bone to pick with Rey’s former compatriots. What is it about Australia that makes for great post-apocalyptic film? For many of us George Miller’s Mad Max trilogy is the pure definition of the genre, not to mention that it made Mel Gibson a global superstar. And now Aussie director David Michod is back with his own addition to the genre, The Rover, his follow-up to 2010’s unflinching crime saga Animal Kingdom. It was recently announced that the film will appear at this year’s Cannes Film Festival in May, and this new trailer that A24 Pictures just released looks absolutely incredible. Michod wrote the script based on an idea he came up with alongside his fellow Aussie, and frequent co-conspirator, Joel Edgerton (Warrior). The action picks up ten years after society has collapsed into a lawless frontier wasteland where violence is a way of life and you don’t last long without being good at making people die. Eric (Guy Pearce) is a loner who drifts all around the outback, from desolate town to desolate town. A gang of hoods steals his car, and leave behind the wounded Rey (Robert Pattinson). Eric forces the younger man, who appears far too soft for this world, to help track them down and reclaim what is his.